7th Battalion the Yorkshire Regiment. Son of Peyton Jones, M.I.C.E. and Letetia Caroline Peyton Jones, of "Edenbrook", Blackwater, Hants. Passed law examinations in Melbourne gaining Supreme Court Prize. A Barrister at Supreme Court, Shanghai. Born at Ararat, Victoria, Australia. Killed 3 August 1915. Aged 39. Loftus Jones was born at Ararat, Victoria in Australia in 1876. He followed a legal career passing his law exams in Melbourne and before the war was practising as a barrister in Shanghai. On July 13th 1915 he sailed with the 7th battalion from Folkestone to Boulogne from where they proceeded to La Clytte for trench training until the end of July. By August 2nd the battalion was considered “fully blooded” and relieved the 1st Battalion of the Wiltshires in the front line at Voormezeele. 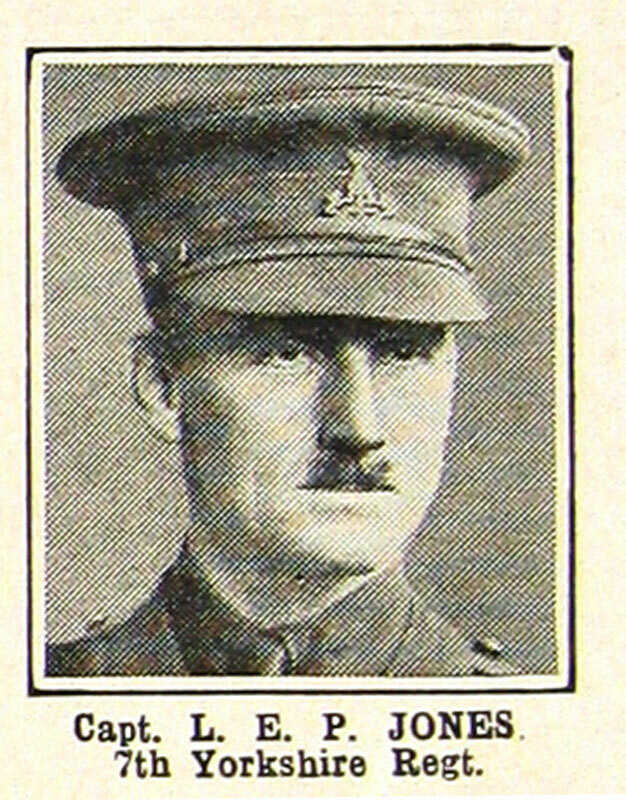 Captain Loftus Edward Perceval Jones was killed the next day, August 3rd 1915 at the age of 39. He was in a support trench when an enemy shell scored a direct hit killing him and Privates Moore and Mills and wounding seventeen others. “His loss came as a great shock to all of us. He was a keen soldier, ready to tackle any job that came his way and was very popular with the men of his company”. His grave can be visited today in Bedford House Cemetery to the south of Ypres on the road to St Eloi. Captain Jones was the son of Peyton and Letitia Caroline Peyton Jones of “Edenbrook” Blackwater in Hampshire.